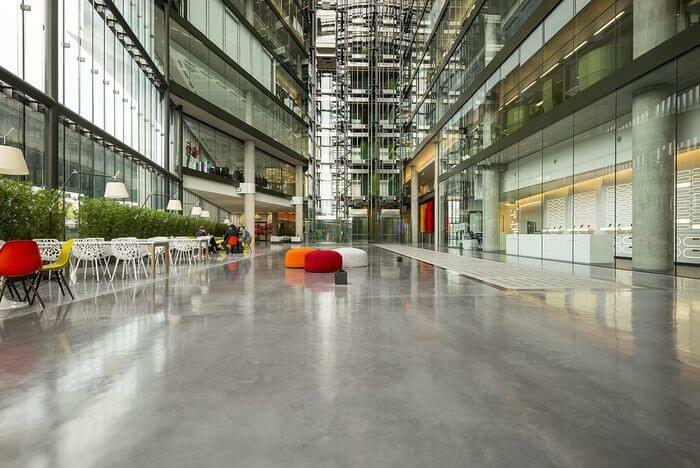 Transform your floor space with highly durable stunning polished concrete. We polish existing concrete floors, and pour and polish brand new concrete floor installations. Our polished concrete floors not only look stunning, underfloor heating compatible but they are also hardwearing and reduce your carbon footprint. From big retail outlets and warehouses to basement and kitchen floorings for the home. We deliver UNBEATABLE value for money and service. We have created comfy and habitable floorings for families of all sorts. Concrete can take on colour and be polished to mimic a sheet of glass. With its many advantages, concrete may perhaps be your new favourite flooring style. These polished concrete floors are refined in their beauty, warmth, and style. Timeless looks for your basement, kitchen, bathroom, and just about any other room in your house. We have a lot of experience designing interiors for retail outlets, offices, and restaurants. We deliver a clean and smooth finish to the concrete flooring. Concrete can take on colour and be polished to mimic a sheet of glass. With its countless advantages, concrete may perhaps be your new favourite flooring style. These polished concrete floors are amazing by how warm, stylish and attractive they look. 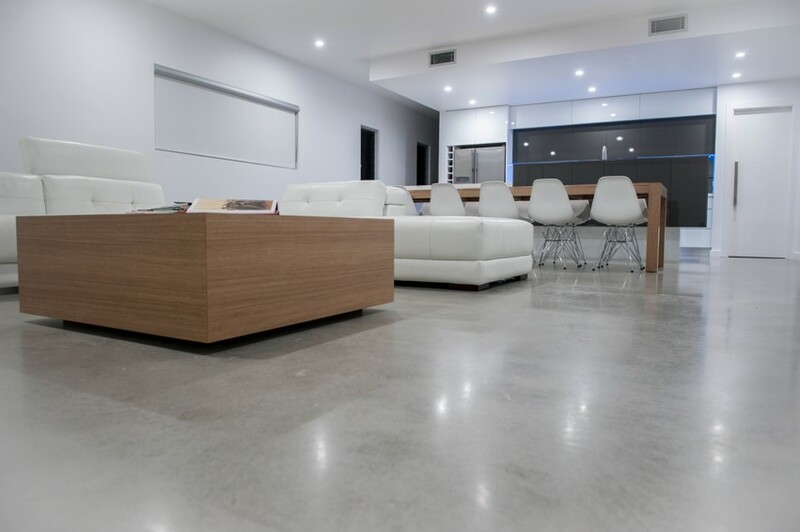 Our polished concrete floors not only look well finished but they also have outstanding toughness. Its capacity to last and its sturdy, compact covering makes concrete perfect for industrial spaces. It can survive the traffic and weight of heavy industrial automobiles and still maintain its beauty. By reducing your carbon footprint, your polished concrete floor will require simple maintenance and will last for a lifetime or even longer. Call Us Today for Your Polished Concrete Flooring! Whatever your flooring needs, LFS is here to meet your demands. We stay appraised by employing cutting-edge techniques, sampling new technology, and attending seminars. There is nothing about Polished Concrete Floor Contracting that we don’t know. Try Us! Our matte finish is the best application for industrial protection. Get rid of concrete dust, while at the same time adding hardiness to your surface. Our satin finish will bring new strength to your commercial floors together with some gloss and protection. Does your residential space demand only the finest? Our high gloss finish offers better durability, protection together with a mirror-like gloss. Owing to its extensive and small exposed aggregates. It’s an affordable polished concrete option that is becoming increasingly common in commercial, residential and industrial sectors. The fact that concrete is a hard-wearing material has been common knowledge for many years. Ancient traces of concrete dating back thousands of years have been uncovered, and some of the most renowned structures from the Roman Empire were constructed using concrete. It wasn’t until the 17th century that concrete was rediscovered and once again became a widely used construction material of the 21st century. LFS is now taking concrete to the next level with their hardwearing polished concrete floors. 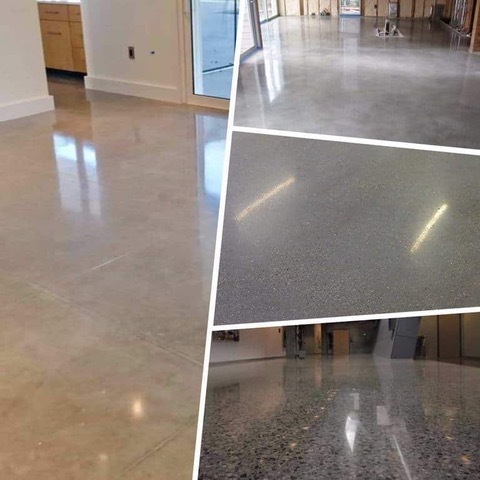 Polished concrete is a multi-phase process that uses chemical hardeners to seal the pores and holes of the substance, and diamond saturated abrasives to create a tough, hard-wearing shell. Specialized tools impregnated with diamond abrasives are used to get rid of surface flaws and polish the concrete’s surface. Aggressive grits are utilized, to begin with, and after that progressively finer grits are used to smoothen the floor. The polishing then resumes with thinner abrasives. The last grit of abrasive used can vary the level of sheen. The finer the grit, the better the clarity and sheen. It often takes experience and skill to control the entire process, and the quality of the concrete’s laying work is also a contributing factor in the quality of the finish. LFS has been exceptional from start to finish. Would not hesitate to recommend to anyone considering a polished concrete floor. Thankyou Aaron and the team for an amazing job, were polite, tidy and most of all did an amazing job on our basement and kitchen floors. Pleasure to deal with from start to finish. Everyone who has visited has commented on how great everywhere looks and "who did your flooring!" 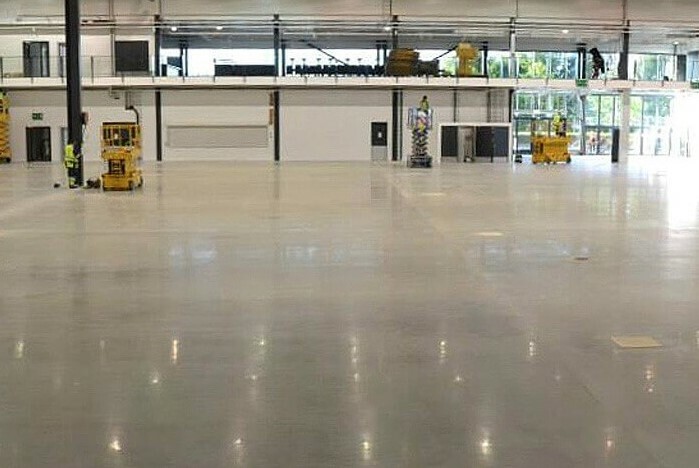 Fast becoming the UK’s leader in the installation of polished concrete floors. Founded by Mr A Stone, our expert team has been working, developing and perfecting concrete flooring to a wide range of clientele throughout London & Home Counties.